Aside poor network in most part of the country, another great problem many internet users in this country face is the high cost of internet subscription. Since the NCC is not really helping issues, many people have opted for different alternatives to purchase data at the cheapest amount possible. One of the most common means of getting data at a cheaper rate is buying from the third party data retailers. Though they sell data at a relatively cheap price, today i will be sharing with you a more cheaper place to get data. 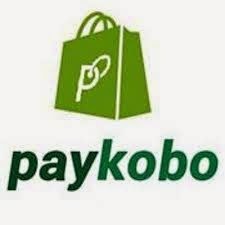 Aside been an online electronic store, PAYKOBO also sells data at a very affordable price. Imagine a situation where you can get 100mb for just #100 or 1gb for #1,000 instead of #1,200 you get it from other data retailers. Purchasing data is also very easy as you can pay with your atm card or directly into their bank account. ==> For new users, you have to create an account, and if you already have an account all you have to do is to login. ==> By the right side of the homepage you will see a box similar to the one in the image below. select your network, preferred data plan, input your mobile number and click on Proceed to Buy. ==> On the next page, select your payment method. either through your atm card or bank transfer. ==> if you select the first option, choose your card type, fill in your card details and click on pay. ==> Or if you selected bank transfer/deposit, deposit the money to one of their bank accounts listed below or you can also transfer fund with your registered email address. NOTE: I will advice you to test their service with the 100mb for #25 plan if you are buying data from them for the first time. PayKobo.com is a FRAUD Website. Order Number: 100023013 Date: 2/12/16. WebPay Transaction Reference: 120216094449. Order Total: ₦14,900.00. Today is 2/22/16 and my order is still showing processing. They do not take calls, no one has contacted me. I have logged ticket (Ticket ID: QKH-326-79435) and they ignore. Did Whatsapp to all of their numbers I could find. SMS also and I get no response. My conclusion, they are bunch of criminals.